Orchid Chemicals & Pharmaceuticals Ltd (BSE: 524372, NSE: ORCHIDCHEM) counter in NSE on Friday saw a massive buy of 10 lakh shares by the leading vaccine maker, Serum Institute of India Ltd. The buy was disclosed at National Stock Exchange after trading hours on Friday. Serum Institute was already the largest non-promoter shareholder of the leading pharmaceutical company that goes by the brand name, Orchid Pharma. In another development on Friday, BSE published the latest Share Holding Pattern of Orchid, for the first quarter of this fiscal. Serum, and its Persons Acting in Concert (PACs), which together held 11.58% in Orchid Chemicals & Pharmaceuticals in last fiscal’s Q4, continues to hold that stake as of Q1 end, though there are other key differences in the new SHP. Friday’s buy of 10 lakh shares amounts to a 1.42% stake, and if Serum hasn’t transacted in the stock since Q1 end, it now holds a significant 13% stake, much ahead of all other institutional investors, none of whom are holding more than 5% stake. Serum’s buying price on Friday was Rs. 127.10, which makes the deal worth Rs. 12.71 crore. The leading Indian vaccine maker’s total stake in Orchid Chem is worth Rs. 117.05 crore now. On the fundamental side, the medium sized pharma company has had difficult years in both FY’12 and FY’11, after peaking in performance in FY’10. Though consolidated topline growth is still intact, its net profit has been on the downswing for these last two years. Primarily a pharmaceuticals exporter, Orchid had an impressive Return on Equity of 35.51% in FY’10 which fell sharply to 14.61% by FY’11, and has further degraded in FY’12 due to profits falling sharply. The Orchid stock had largely followed suit, with it falling steadily from its two-year high of Rs. 344.40 recorded in October 2010, to a recent two-year low of Rs. 109.05 in late June. However, the company’s Q4 results had shown a positive turnaround in bottomline, even while it continued the moderate topline growth seen throughout last fiscal. Orchid Chem had also successfully redeemed outstanding FCCBs for US$ 167.64 million, which was an overhang on the stock. But even while investors in the counter were starting to find relief in a stock rebound, the Orchid Chemicals stock was caught in a controversy in the first week of July, when an Intelligence Bureau report named it as one of the stocks in which Ketan Parekh, an officially banned stock market operator was active. There is also another setback for the stock, visible in the latest Q1 SHP published on Friday. Rakesh Jhunjhunwala, India’s best known celebrity investor, who was holding a significant 3.40% stake in Orchid Chem, together with his family, is no more an identifiably large investor in the counter. However, it is not known whether Jhunjhunwala and family has fully exited from this pharma counter. Since their holding is spread across three entities, the sell may even be partial or minor, and technically as low as 0.43%. Major investors in Orchid Pharma apart from Serum Institute and Jhunjhunwala family are, Citibank, Life Insurance Corporation of India, Macquarie Bank, Private Bank Ihag Zurich, and Barclays Capital Mauritius. Among them, while Citibank and Macquarie Bank have increased their stakes during Q1, Barclays Capital has reduced its stake. Macquarie’s higher stake is despite the Australian bank shedding part holding towards June end, together with ABN Amro Bank, in identified transactions which also saw Goldman Sachs buying into the stock. 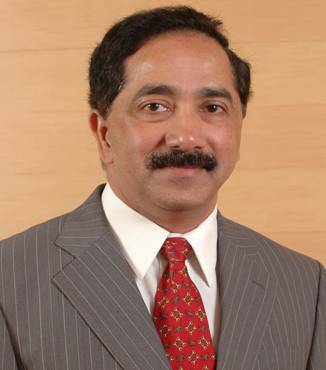 The 13% stake of Serum Institute of India Ltd is held by Serum directly as well as PACs like Serum Institute Founder, Dr Cyrus S Poonawala, and Poonawala Group companies like Adurjee & Bros Pvt Ltd, Fortune Intercontinental Pvt Ltd, Chakan Investment Pvt Ltd, and Poonawala Shares & Securities Pvt Ltd.
Serum Institute of India is one of the largest players in the international vaccination space, and their further buy into Orchid Pharma is likely to be taken as a positive cue by the market, as Serum understands the pharma business comprehensively. However, Rakesh Jhunjhunwala’s possible exit is a negative cue, as his portfolio is widely tracked. Further triggers for the stock will be Q1 results, and whether there will be any follow-up actions on the IB report. On Friday, Orchid Chemicals stock closed trade at Rs. 127.80 in NSE, up by 4.63%, even while the key Nifty index closed down by 0.72%.